After months of rumors, Verizon announced Monday that it is buying Yahoo's core business for US$4.83 billion in a deal designed to make Verizon competitive as a global mobile media and digital advertising company. As part of that diversification effort, AT&T bought DirecTV in 2014, and Verizon bought AOL, a digital content and marketing company, last year. In announcing the deal on Monday, Yahoo said it had 1 billion monthly active users in January, including 600 million monthly active users who are engaged in search, communications and use of other digital content products. Yahoo also had 225 million month active users of its email service in January, the company said. "Yahoo has been a mismanaged company for at least a decade, but its massive audience reach is testimony to the resilience of its assets," said Roger Entner, an analyst at Recon Analytics. "Verizon is seeking to get revenue growth through advertising and benefit from the secular shift from becoming a wireless internet company, away from offering regulated wireless services." Entner said that "with competent management, I view the purchase as pure upside." He said the Yahoo purchase keeps Verizon more internet-focused, while AT&T and DirecTV are concentrating more on video. "It would have been nice for AT&T to have Yahoo, but it's critical for Verizon," Entner added. While Yahoo's assets carry "tremendous value" to Verizon, "the challenge is co-mingling Yahoo's assets with those of AOL and Verizon while keeping consumer privacy top of mind," said Seth Ulinski, an analyst at Technology Business Research. "Verizon now has the content, subscriber base, delivery infrastructure and advertising technology to create a next-generation model. " Ulinski said Verizon has a history of successful integrations of companies it has acquired. But he warned: "As Verizon takes on more media ownership with Yahoo, the potential for conflict of interest increases. "If I am a publisher or advertiser, is Verizon truly focused on maximizing inventory yield or ad campaign performance respectively, or its own business performance?" Also, the adoption of ad blockers has put the ad-supported business model "at risk," a factor that will hit Verizon as hard as any company, he said. The history of integrating a weak company into a newcomer in the space doesn't bode well for Verizon, argued John Colley, a professor at the U.K.-based Warwick Business School and a researcher on large takeovers. "Unfortunately, alliances of the weak — in an attempt to make a single strong competitor — very rarely work," he said. "They are usually left with a bigger 'weak' player. 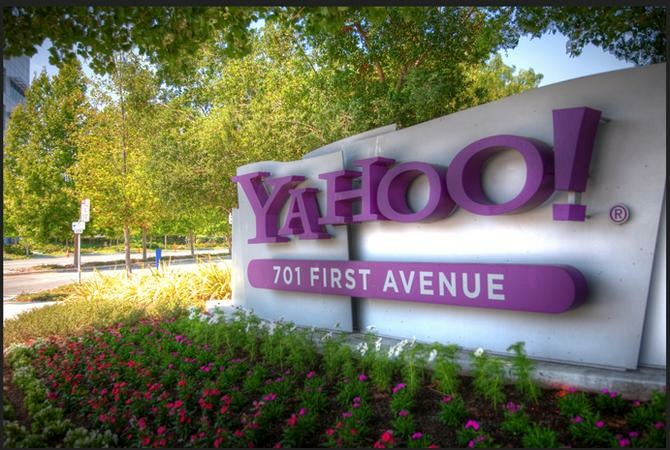 "Yahoo has struggled to gain traction and recent results have been particularly disappointing," Colley added. "Why should Verizon and the addition of AOL change that?" Colley argued that for Verizon, the acquisition of Yahoo is "quite a major diversification from mobile telecommunications, and it is not clear what benefits may arise from owning both as they are such different businesses … Integration is frequently blamed for botched acquisitions which destroy value. "Loss of market share and key personnel during the integration process have become the norm. Competitors use the opportunity to move in on customers and staff alike. Integration is a major internal distraction for staff who are wondering what the future holds for them. Effectiveness collapses and the business suffers. There are few exceptions." Marni Walden, executive vice president and president of product innovation and new business, will oversee AOL and Yahoo at Verizon. Yahoo will be integrated with AOL at Verizon under Marni Walden, executive vice president and president of the Product Innovation and New Businesses organization at Verizon. Walden was named to the post, which includes oversight of Internet of Things as well as digital media and telematics, in early 2015. Walden and Verizon's "first order of business will be to get Yahoo relevant again and make current Yahoo users happy and willing to stay," said Jack Gold, an analyst at J. Gold Associates and occasional columnist for Computerworld. "If Verizon can't stem the flow of people unhappy with Yahoo and continuing to move to other places, especially Google, then the number of eyes Verizon is buying will shrink and potentially substantially," he added. "Stemming the exodus is key, then they can work on getting more subscribers." With Yahoo, Verizon gets into a "multi-method delivery" approach for services, especially as the number of new wireless subscribers has fallen in a saturated market, Gold said. "Verizon wants to find ways to increase average revenue per user (ARPU) through added digital services as well as with ads." Verizon is also trying to undercut Google, as the Google moves into being a carrier and service provider, especially for digital homes and other Internet of Things scenarios, Gold said. "Google already offers a number of free services that they leverage for revenues, and Verizon is trying to make sure Google doesn't undercut them for customers. This is also an issue for AT&T." Overall, one analyst said Verizon's purchase of Yahoo is high risk, although Verizon might take advantage of Yahoo's public cloud data centers. "The acquisition is high risk, medium return, but the price was probably right," said Patrick Moorhead, an analyst at Moor Insights & Strategy. "I don't see the content as the win here, as Verizon won't necessarily know how to keep the quality and distribution relevant over time." Moorhead added: "What I do like is that Yahoo has one of the largest and most sophisticated public cloud data centers and I think if Verizon wants to be a cloud player, they can learn a lot from Yahoo."